Julie has spent the past 13 years dedicating herself to sharing the wonders of the horse-human relationship with riders of all ages and abilities. She took knowledge gained as a child with horses in her backyard in rural upstate New York and blended it with her 26 years of marketing experience (account executive, then Vice President of Operations for Scott Cooper Associates, Ltd.) to turn her belief in what horses can do for a human being into a thriving non-profit. She spent 10 years, developing Saddle Rock Ranch’s therapeutic riding program as a volunteer for Family Residences and Essential Enterprises, Inc. She used her marketing knowledge to develop Saddle Rock’s brand and her ability as an instructor to share the wonder of the horse-human relationship. In 2014, upon request from FREE, Great Strides took over management of all of Saddle Rock’s community-based lesson programs and is now home to a strong and growing lesson and equine assisted activities community, serving more than 90 special needs and veteran participants and 40 children and adults of typical abilities. Anna is a veteran horsewoman, riding instructor and certified therapeutic riding instructor. 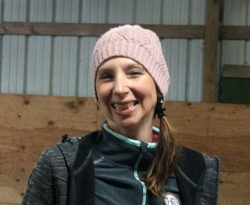 She has an extensive background, teaching riding to students of all ages and abilities. She has been PATH-certified for 25 years and played integral roles in many therapeutic programs across the island. She directed the trail riding and lesson facility at Southaven Stables for 10 years. Anna was the President of the Long Island Dressage Combined Training Association for three years. She was an instructor for the Renaissance School for Head Injured Males and the New York Therapeutic Riding Program at the Claremont Riding Stable in New York City (under the directorship of Richard Brod). She founded therapeutic riding programs for IGHL and the New Interdisciplinary School. Maria has been teaching therapeutic riding for the past 10 years, first for Saddle Rock Ranch, then continuing as part of the Great Strides team. Prior to becoming a therapeutic instructor, she taught riding at Southaven Stables for 10 years. Maria is a student of natural horsemanship, particularly the Parelli Method (is a member of the Parelli Saavy Club) and brings that dimension to her instruction method. She teaches the rudiments of riding with the understanding of the horse from a natural horsemanship standpoint. Maria has been working with adults with developmental challenges with AHRC for the past 10 years. Jill Diamond has been riding for 30 years. She grew up learning traditional hunt seat. She draws on this background, as well as her knowledge of yoga techniques and training as the foundation for her teaching. Jill particularly enjoys her work with our veteran population, bringing a focus of positive energy, balance and breath to the partnership of horse and rider. 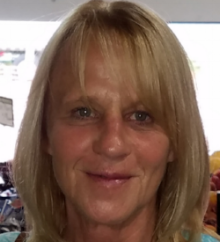 Sally is a senior level riding instructor with over 40 years of experience. She competed in dressage and is trained to fourth level. She also competed in the jumper division for years. She managed a riding facility for six years, then went on to freelance for several lesson programs. She has been training riders from beginner level up to and including Medal, PHA and Maclay. Her students have won finals in mini advanced equitation. Sally also has extensive experience training young, green and problem horses, including off-the-track thoroughbreds. Sally has been teaching at Great Strides for the past year with the goal of growing our lesson program for typical riders. Veronica has recently retired from her career as a special education teacher. She has been a horse owner and rider for more than 13 years. She obtained her PATH certification and began teaching therapeutic riding at Saddle Rock Ranch in 2005. She coached Special Olympics athletes annually, beginning in 2006 as part of the Saddle Rock Ranch team. She took a brief hiatus in 2014 and returned to the Great Strides team in 2016. Emily has been riding for more than 16 years. In 2013 she earned a degree in recreational therapy from St. Joseph’s College. She worked for Family Residences and Essential Enterprises, Inc. as a certified recreational therapist for their after-school recreational program for two years. In 2016 she earned her PATH (Professional Association of Therapeutic Horsemanship) certification and began teaching at Great Strides. She simultaneously became a full-time therapeutic riding coordinator for Saddle Rock Ranch’s day program. Emily coached Special Olympics riders as part of the Great Strides team for the past two years. She ran three sessions of summer programs in 2016 and will be working on one session in 2017.